The Pennsylvania House of Representatives passed an overarching gambling expansion bill Wednesday by a vote of 102-89, a bill which, among other things, would legalize and regulate online casino gaming and online poker, but this is ain’t over, folks. The state Senate passed H 271 two weeks ago, but though the House passed the same bill, the bill doesn’t look the same, so it is now back to the Senate to see how those lawmakers like what the House did. Odds are (yay, puns! ), the Senate won’t be all that pleased. One of the most significant hurdles will be what we have talked about on several occasions, that of the tax rate on online casino games (not poker). The Senate’s version of the bill proposed a sphincter-puckering 54 percent tax, triple that of neighboring New Jersey. Industry analysts see about 20 percent as the maximum sustainable tax rate. Proponents of that high rate argue that Pennsylvania casinos are taxed 54 percent on slots, so it shouldn’t be different for online sites. The problem with the argument is that the sites, after taking into account player expense, operational expenses, and “normal” taxes, only make a few cents per dollar of revenue. A tax rate as high as 54 percent would make it impossible to profit. Brick-and-mortar casinos can handle it because they have other revenue streams like hotel, dining, and shopping. The Senate also wants to impose a $5 million licensing fee on both online casinos and online poker rooms, so operators who wanted to offer both would have to pay $10 million. Already, about half the casinos in Pennsylvania have said they wouldn’t both applying with those fees. The House’s version of the bill dropped the tax rate for online casinos way down to 16 percent, which isn’t crazy low, but it well within the feasible range. The licensing fee was also changed to $8 million, which includes both casino and poker. This seems like it could work (not sure about the licensing fee, to be honest), but with such a gap between the Senate’s and House’s versions, it will likely be difficult to sway the minds of Senators on the matter. “If this bill passes as is, you’re going to hear crickets, because no casino is going to buy a license. It’s 24-hour liquor sales all over again,” he added, referring to a liquor law signed last year that permitted casinos to buy a 24-hour liquor license for $1 million. The problem was, the only hours casinos can’t sell alcohol without the license are 2:00am to 6:00am, so none of the twelve Pennsylvania casinos felt it necessary to spend $1 million on something that would bring them little to no benefit. The other stumbling block would be the expansion of video gaming terminals (VGTs) in to venues with liquor licenses. VGTs are things like video slots and video poker; the House bill would allow places with a liquor license to have up to five of them, while off-track betting locations and truck stops could have as many as ten. Though VGT’s passed the House (obviously), they didn’t get even close to overwhelming support and there is almost no support for them in the Senate. 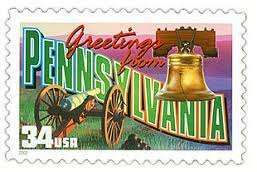 Pennsylvania’s brick-and-mortar casinos, of course, hate them, as VGTs could give people reasons not to visit the casinos. If all people want to do is play some slots, why travel to a casino when your local dive bar has a couple? Last year, the House passed a version of a gambling bill without a piece that would have allowed for widespread VGT’s. A version with VGT language was easily defeated, 116-79. It wouldn’t be surprising for the Senate to demand a major concession elsewhere if it were to allow VGT’s in the bill. Other online gambling options are also a part of the bill; daily fantasy sports and online lottery sales would both be legalized. The tax rate for DFS in the House bill is 19 percent, compared to 12 percent for the Senate. The House also set the legal DFS age at 18, which is what is used in most other states, while the Senate wants it to be 21, the typical legal age for other gambling activities. One would think it would be easier to bridge these gaps compared to the VGT and online casino tax issues.